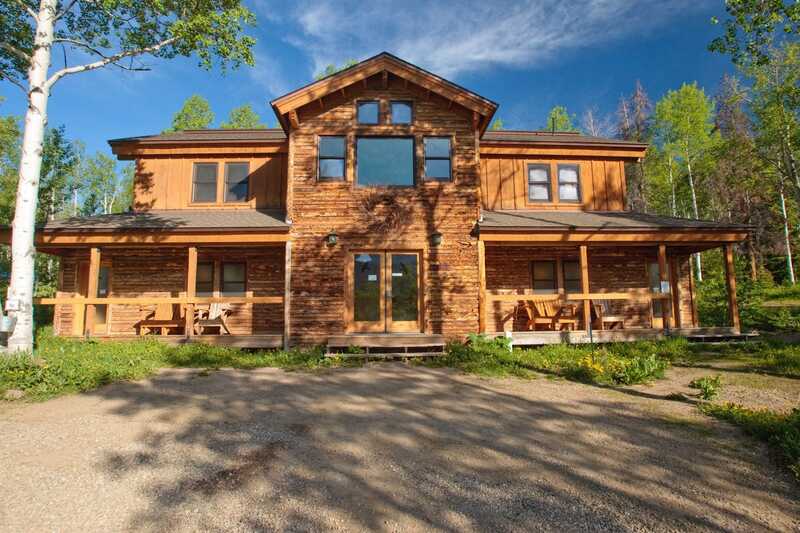 As many are aware, Colorado offers some of the most beautiful countryside and mountains in the United States. 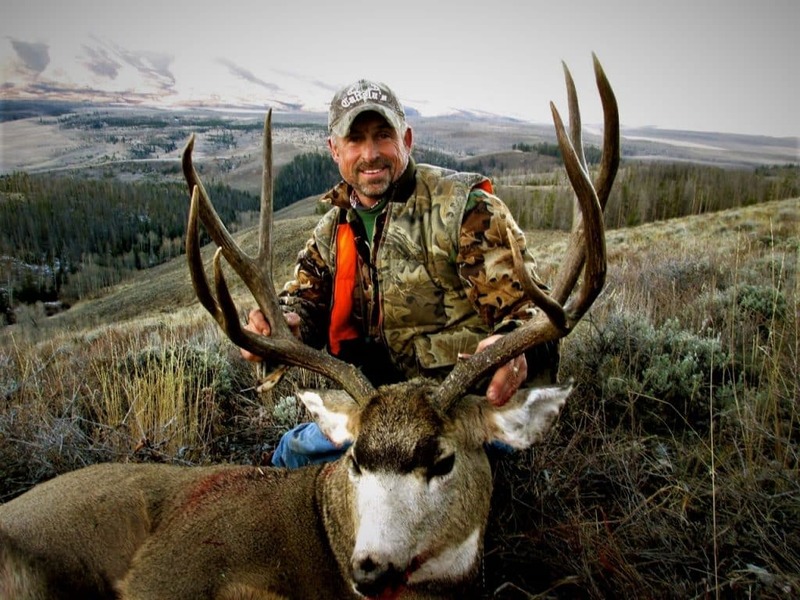 However, did you realize that is it one of the top states in the U.S. for public land access? 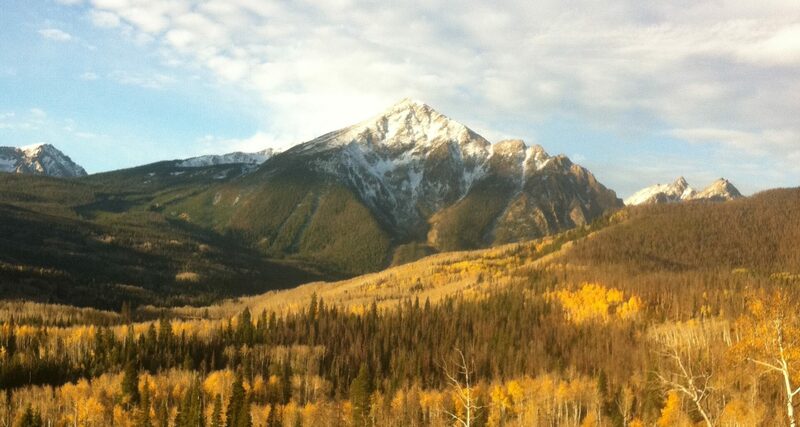 Furthermore, much of this is spread across 41 different Wilderness Areas covering more than 3.5 million acres. 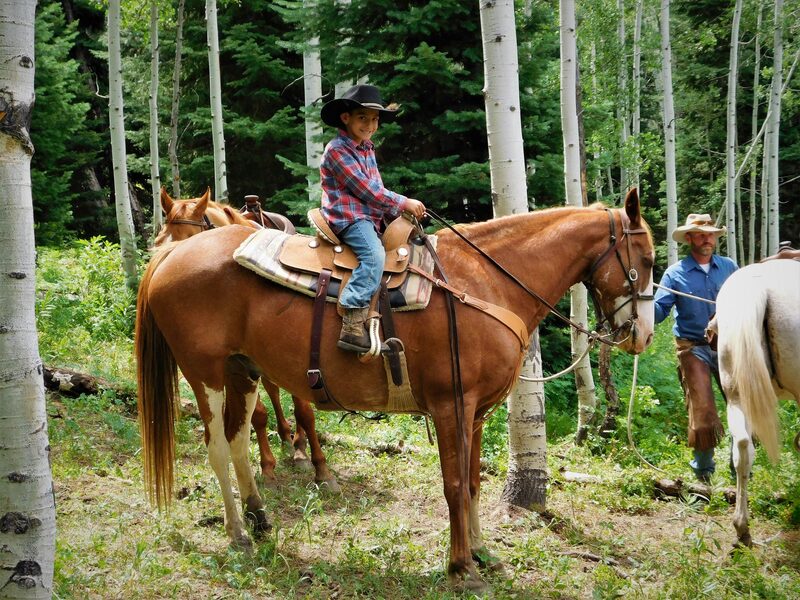 These Wilderness Areas can be accessed on foot or horseback only and several of them are extremely large offering superb, backcountry fishing. 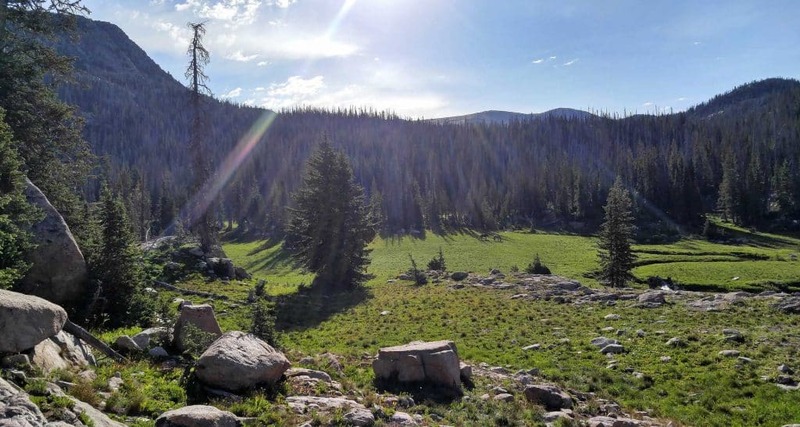 Within these vast, primitive Wilderness Areas, fishing opportunities are unlimited and these fisheries receive little to no pressure given the remoteness. Early spring fishing backcountry fishing begins with ice out on lakes and ponds typically in the 8,000 to 9,000 feet range. This of course can vary a lot based on weather but in general it is sometime after the middle of April and as late as mid-May. Right after ice out fishing can be hot. Big fish are hungry and accessible cruising the shallows close to shore or near inlets. Streamers (i.e. wooly buggers) and nymphs fished slow are deadly and will draw vicious strikes! In general, look for feeding fish cruising the shore lines in sunny areas during the warm periods of the day. 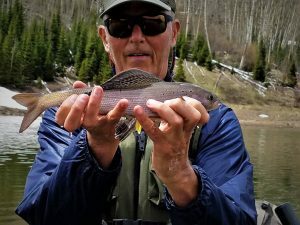 Ice out fishing can also be a good time to catch grayling too before they move to deep, cold water, as we do have several bodies of water in Colorado that contain grayling and some good ones at that. 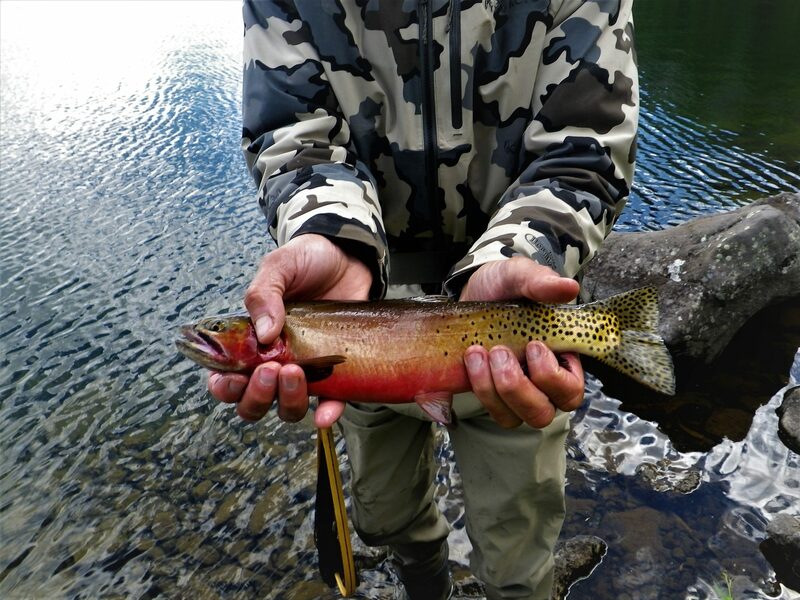 As we move into late spring and early summer, small rivers are still too high to fish. However, more lakes will open up in the backcountry as well as beaver ponds up to 10,000 to 10,500 (by late June most years). Similar tactics will be effective that worked in lower elevations in early spring. 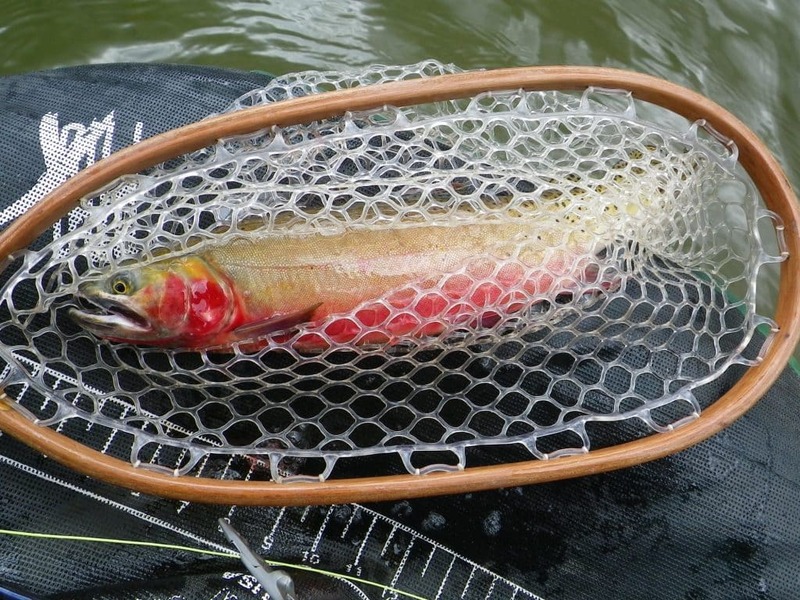 On a warm sunny afternoon, it is not uncommon to even have some dry fly action. Small parachute adams (i.e. 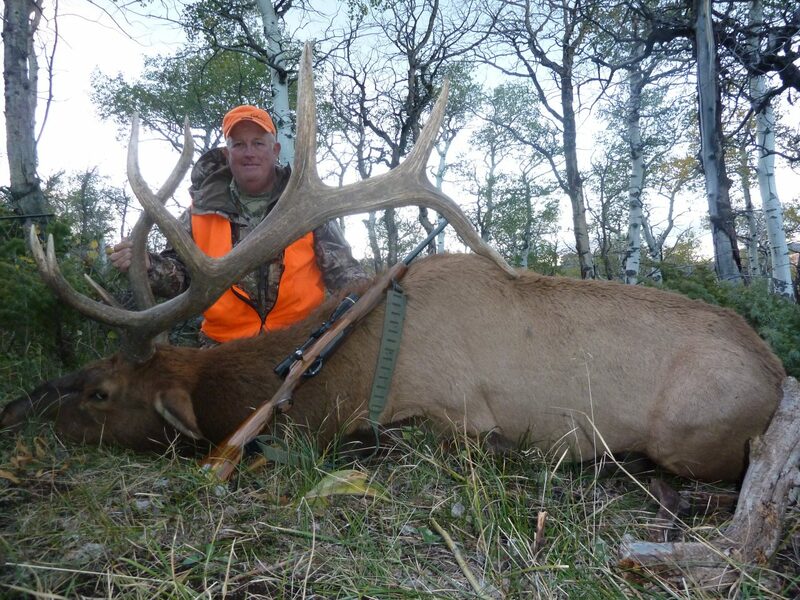 size 16-18) many times will work for these early season conditions. 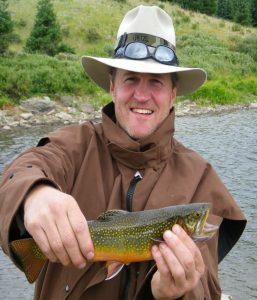 In areas with brook trout, this time of year offers a chance to hook into some big fish before they move into colder water as we get later into the summer. Photos: Late spring big brookie and cutthroat! 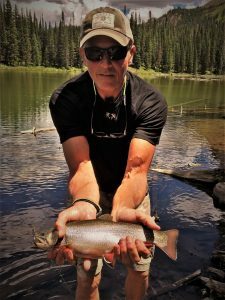 As we get into early summer, hot fishing continues in backcountry lakes with dry fly activity on the rise. Caddis fly activity picks up and parachute adams are always a good choice as are black gnats. 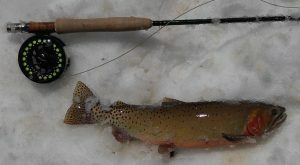 About this time frame, small river water flow is dropping and fishing these waters starts to get productive. During warmer parts of the day, dry fly hatches are occurring and during other times nymphs and small streamers are always an option. Try small wooly buggers in deeper pools, gold ribbed hares ear and pheasant tails in riffles and runs. 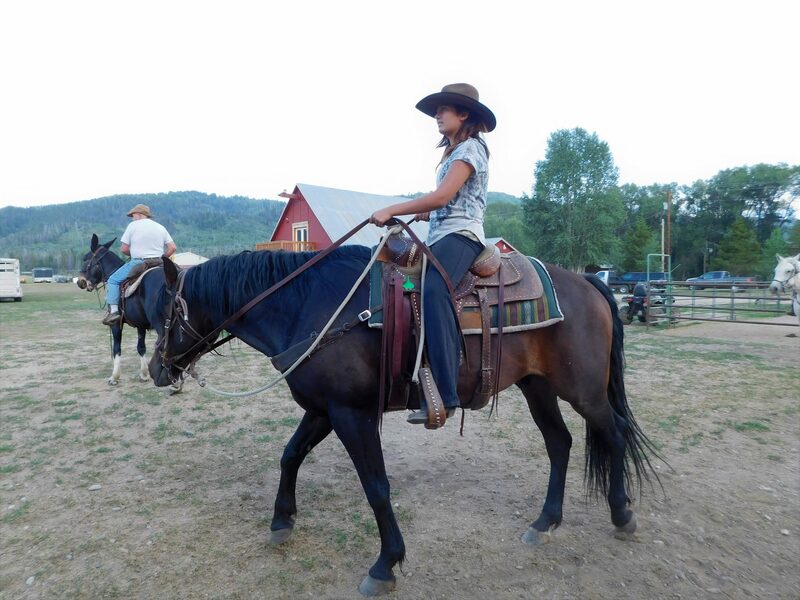 The key to success is with getting the right amount of weight and depth for a natural drift. 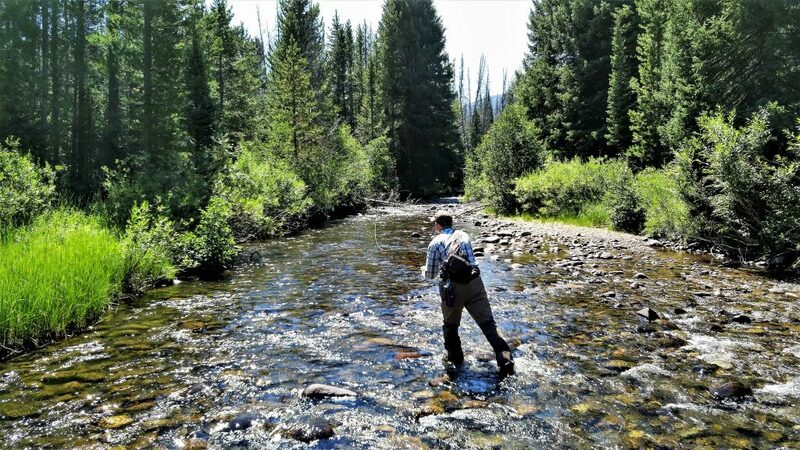 Photo: Small river backcountry dry fly fishing is as fun as it gets! 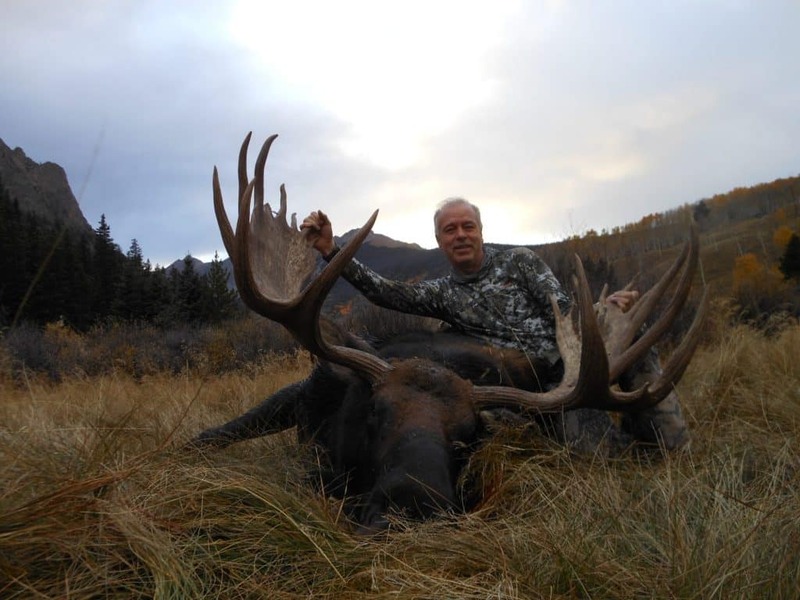 This brings us into summer and early fall for which the action just continues to be good with lots of opportunity to fish various types of water. 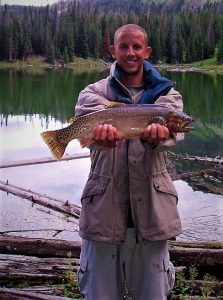 By this time, the highest mountain lakes are open and fishing well, including for big cutthroat. 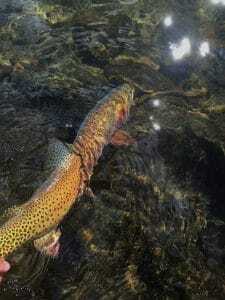 Small river dry fly fishing is great too! I think what really makes this time of year fun is with grasshoppers in full swing, big attractor flies draw aggressive strikes! Combine an attractor fly with a small dropper and you are talking about non-stop action some days that can be the most fun of the season! One last point, while windy days can present many challenges especially on high mountain lakes, don’t underestimate these days! I have had tight lines all afternoon on days like this by getting up wind of a shoreline getting beat by waves. The trick is to fish just on the edge of the murky water typically stripping hares ear, wooly buggers or even orange ashers. Hold on to your rod tight as you can get some vicious strikes! 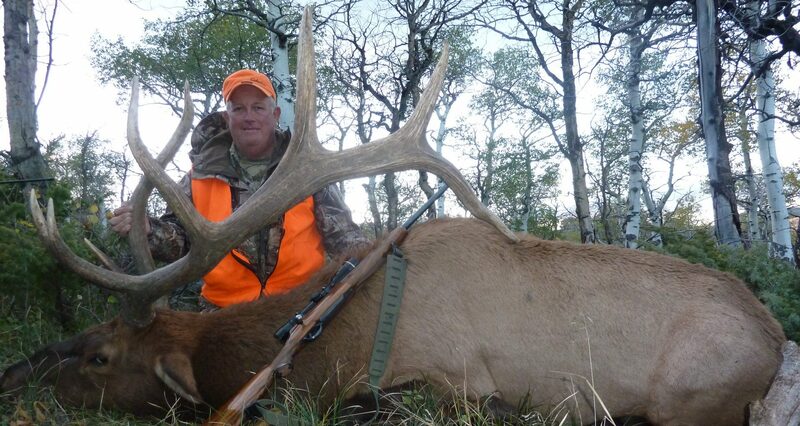 Photos: Summer and early Fall offer prime time fishing in the Colorado Backcountry! 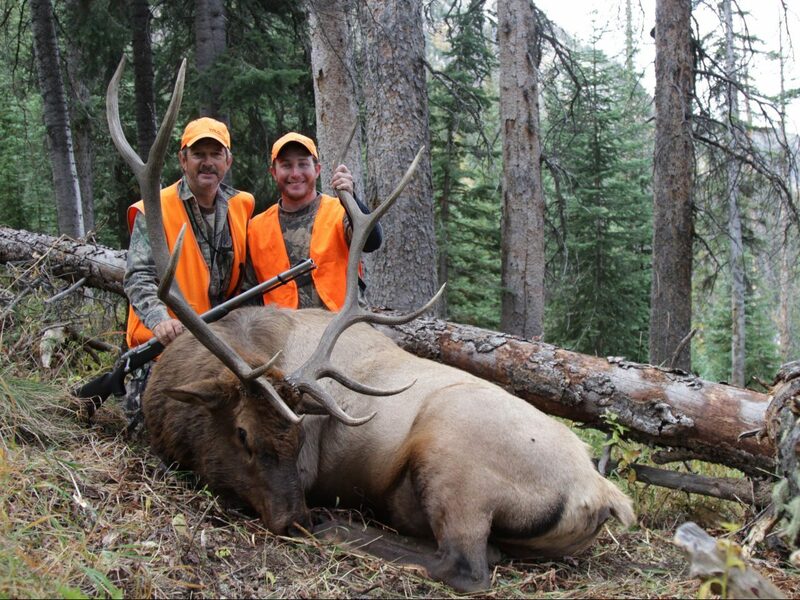 In summary, Colorado has a lot to offer if you enjoy fishing the backcountry and having the water to yourself! 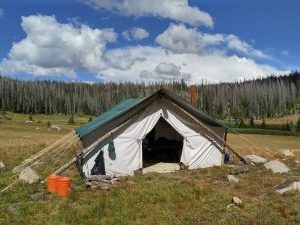 There are many places you can enjoy backcountry fishing via a day trip by hiking in or consider backpacking in for multi-day adventures. 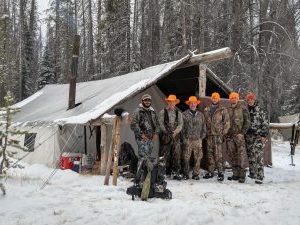 Of course, to access some of the remote backcountry fishing consider an outfitter in your area of choice. 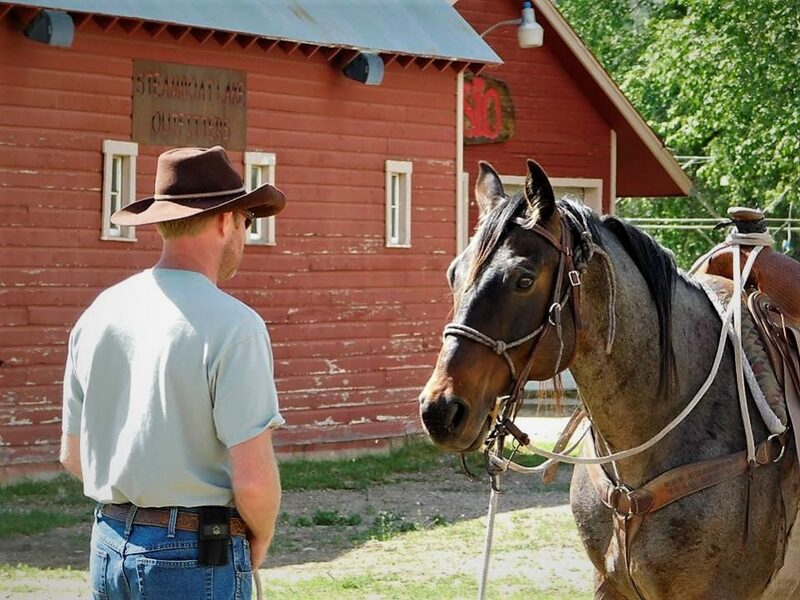 They know the water, offer backcountry camps and can get you in and out on horseback making for a great overall experience!